In a feat of daring reportage, Potter gets onto the flight deck with these outlaws and tells the story of their fearless missions. Dodging gunfire, Potter is taken from place to place by men trafficking everything from illicit weapons to emergency aid, making enemies everywhere but no reliable friends. As the world changes, we see the options for the crew first explode, then slowly diminish, until, in a desperate maneuver, they move their operations to the most lawless corners of Africa, where they operate to this day. The story of these outlaws is a microcosm of the world since the end of the cold war: secret contracts, guerrilla foreign policy, and conflicts too thorny to be handled in public. Potter uses the story of these men to articulate an underground history of the globalized world. At once thrilling, provocative, and morally circumspect, this book is a must-read for anyone with an interest in espionage, or in how the world works today. 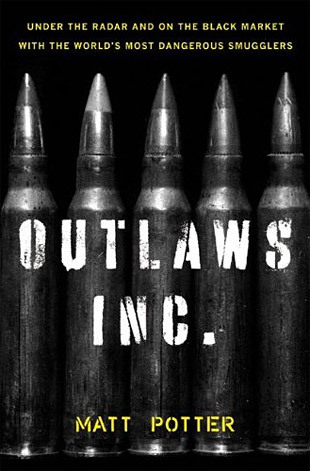 This entry was posted in Books and tagged black market, outlaws. Bookmark the permalink.